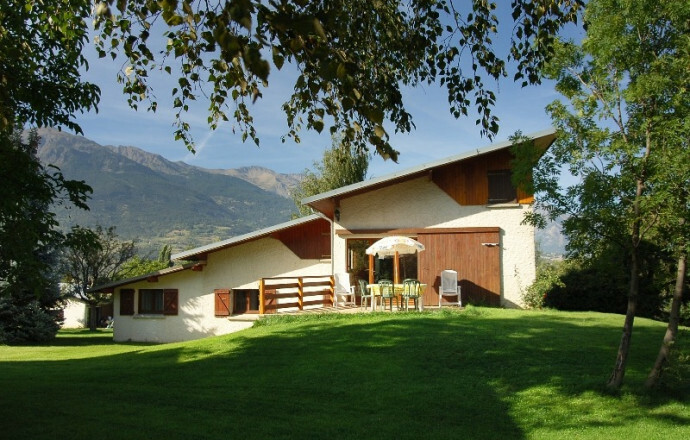 Located in the Southern Alps, between Lake Serre-Ponçon and the summit of Pouzenc, the village of Baratier offers you many possibilities for hiking and nautical; the warmth and conviviality of its inhabitants illustrate the well-being of this region. 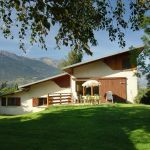 The lodging is located in an orchard, near the campsite which has a swimming pool available from June to September, it is heated to renewable energies (water temperature of 28 °). The cottage is located on the ground floor of an independent house which includes another seasonal rental; it benefits from a terrace and a common ground, kitchen, dishwasher, microwave oven, Television with TNT, living room, click-clac, chimney. A room and two sleeping rooms in mezzanine (2 beds 2 people, 2 beds 1 person), bathroom, wc, electric heating. Possibility Wi-Fi connection. Garden furniture. Children's games, laundrette at the campsite.